With each passing day, Gully Boy has been garnering buzz on social media. While the trailer of the film has received a lot of acclaim from fans and movie buffs, the first song Apna Time Aayega, sung by Ranveer Singh, is turning out to be the youth anthem in India. Now the makers of Gully Boy have released the second track from the movie titled Mere Gully Mein. The track is a remix of DIVINE and Naezy’s breakout single of the same name. 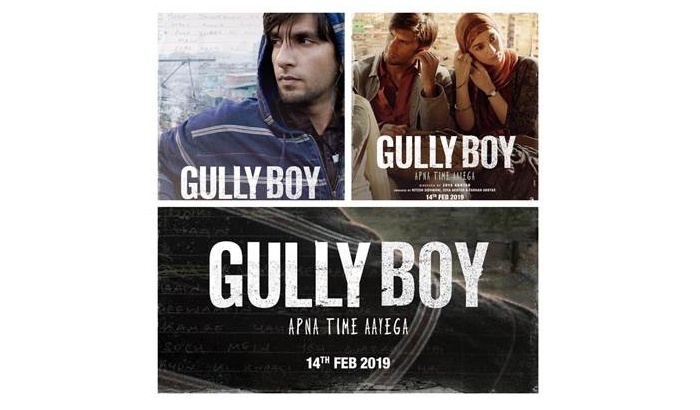 Gully Boy is inspired by the lives of the rappers, who broke onto the scene with the viral, DIY-style music video for Mere Gully Mein, which introduced Indian fans and others worldwide to the idea of ‘gully rap’ and propelled DIVINE and Naezy - both Mumbai rappers - into the limelight. The film’s version of the song is performed by Ranveer Singh and has been composed by DIVINE, Naezy and Sez on the Beat, with lyrics by DIVINE and Naezy. Set to release on 14th February 2019 the film has been produced by Ritesh Sidhwani, Zoya Akhtar and Farhan Akthar.